There could be good news for the injured Batshuayi. 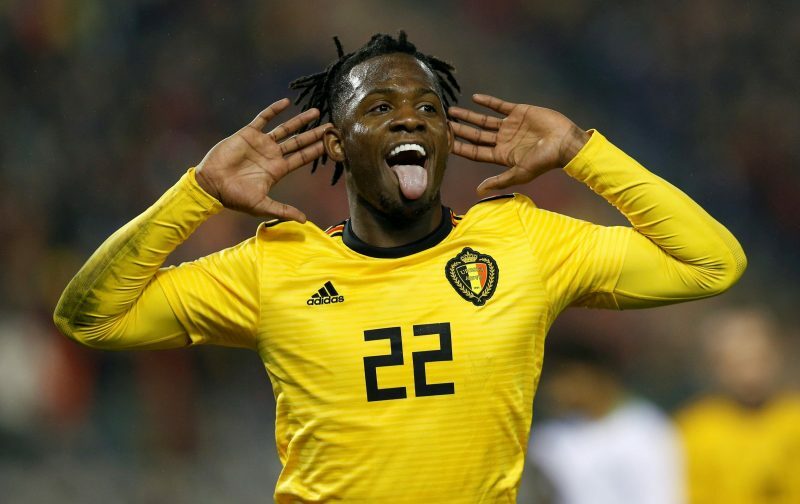 The undisputed king of Twitter., Michy Batshuayi has seen his season conclude following an injury in Borussia Dortmund’s 2-0 Bundesliga defeat to Schalke. It was initially feared that the 24-year-old had broken his leg. However, it has now emerged that the Belgian forward has incurred an ankle injury. Without question, the timing of his injury has been miserable. He’s been in terrific form since moving to Germany, scoring nine goals in 14 games for Dortmund, yet it seems his season has been cut short by injury. It seems that his spell with Dortmund has ended due to the injury. However, there is hope that he’ll feature for Belgium at the World Cup in the summer. He is valued at £36M by transfermarkt. The striker provided an update about his condition on Twitter. The following quote is from BBC Sport.